Home Celebrity Gists KADA RIVER: Olakunle Churchill Visits Southern Kaduna With Praiz And Foundation Team. KADA RIVER: Olakunle Churchill Visits Southern Kaduna With Praiz And Foundation Team. 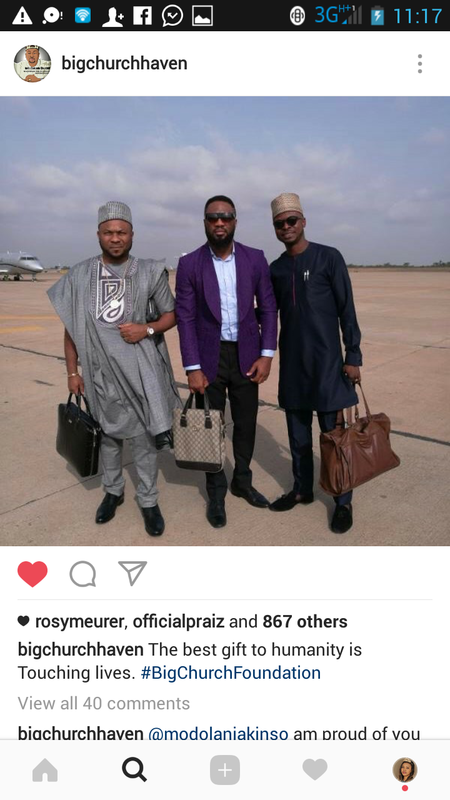 Dr. Olakunle Churchill was earlier today pictured at Kaduna Airport with Praiz as they arrive for a visit to Kagoro community in Southern Kaduna. The famous philanthropist donated food items and home materials massively during KADA River Massacre three months ago.